Neville Longbottom. The first time we heard that name, we had no idea how important that character would be. In fact, most doubted this character would ever amount to much in the wizarding world. Brave and true, Neville proved to be a true Lion and played a critical role in taking down the Dark Lord once and for all. But one of the first times we see the young and awkward 11-year-old Neville, he receives a remembrall from his grandmother but can't remember what he's forgotten! Hence, we are celebrating all things Neville with an AMAZING 3" remembrall-inspired medal with transparent epoxy hand-swirled with red "smoke" (each medal will be completely unique! ), a beautiful sublimated ribbon featuring a certain awesome sword, and a Neville-themed digital bib! Despite the losses he suffered, Neville never forgot about the power of family. We are pleased to announce our charity partner for this event is the Hispanic Federation and The Immigrants: We Get the Job Done Coalition! The Coalition brings together extremely diverse nonprofit organizations that share common pro-immigrant, human rights values and a deep commitment to immigrant families and communities. Individually and together, Coalition members respond strategically and relentlessly – through legal services, social services, and public education. They shine a light on how immigrant children and families are being treated at the border and in detention centers, targeted at work and at home, and arbitrarily and systematically denied due process. They work for fair and equitable immigration policies and practices, assist individual immigrants and families, and educate other Americans about the contributions of immigrant communities. Specifically, we're going to be supporting the Coalition's Keeping Families Together Initiative! All Coalition members work to keep immigrant children and families safe and together. This is a huge undertaking, since most anti-immigrant actions affect not just individuals but also their family members. Through the Coalition’s Keeping Families Together initiative, Coalition members conduct immigration-related services such as legal services and social services to immigrants and their families. Visit http://hispanicfederation.org/getthejobdone/ to learn more! 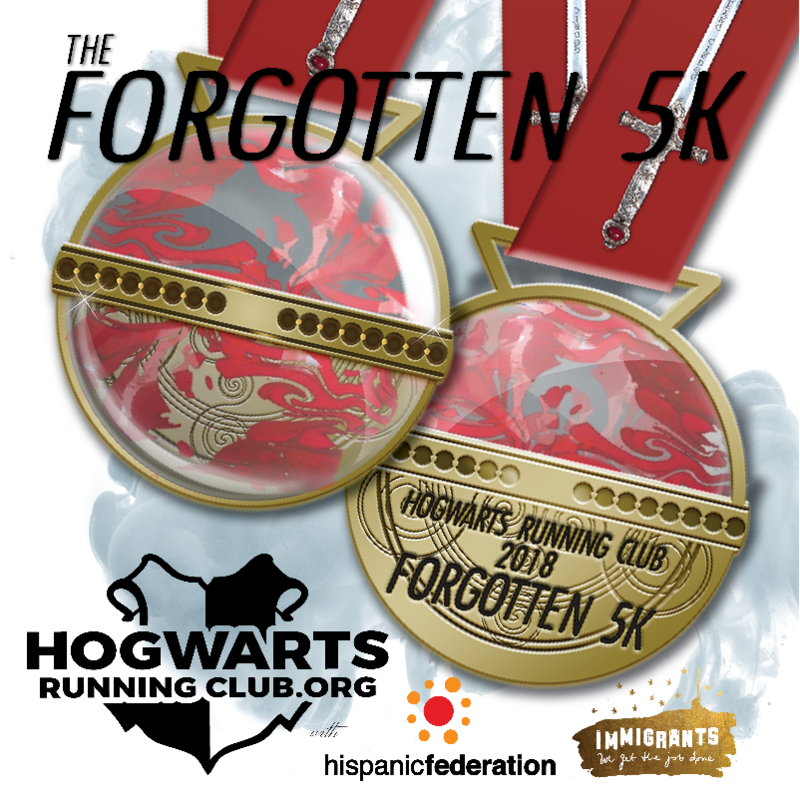 The suggested run date for the Forgotten 5k is Wednesday, May 2nd...the 20th anniversary of the Battle of Hogwarts and Neville's bravest moments (i.e. blowing up the bridge, being set on fire, pulling the sword out of the hat...yeah, it was a busy day!) Remember, this is only a fun suggestion. You are welcome to complete your 5k whenever you want! Registration closes at midnight on May 6th (or early morning on the 7th depending on your Time Zone). All medals will be mailed two weeks later...around May 21st. 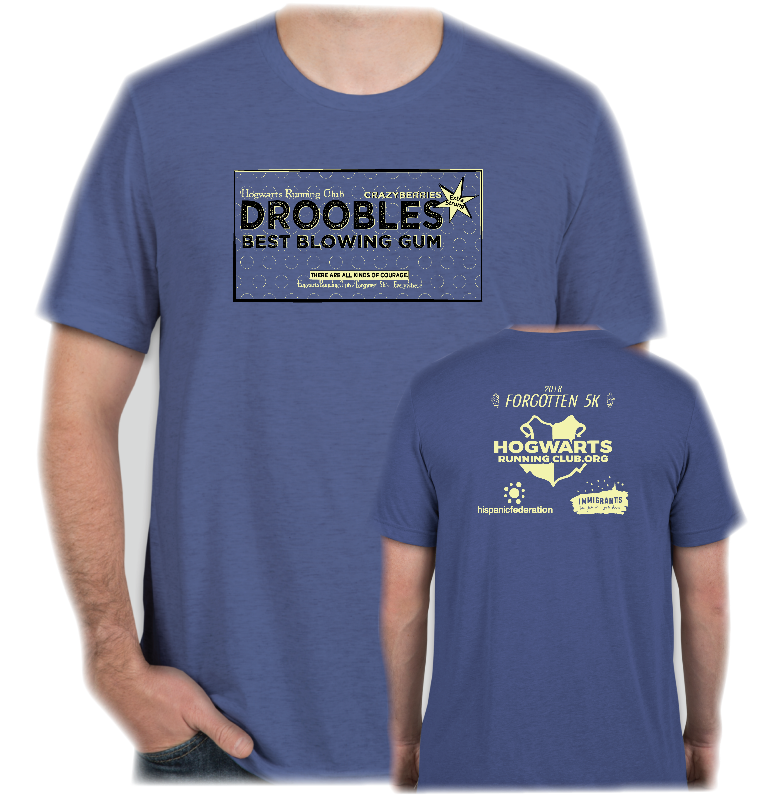 Sign up today and help Keep Families Together!